Inspired by the 1984 Kerry babies case, Annemarie Ni Chuireainn weaves our mythological past into our historic present in an attempt to understand to horrific treatment meted out to unmarried mothers in Irish society. Annemarie Ní Churreáin is a poet and writer from Donegal, Ireland. Her debut collection Bloodroot (Doire Press, 2017) was shortlisted for the Shine Strong Award for best first collection in Ireland and for the 2018 Julie Suk Award in the U.S.A. 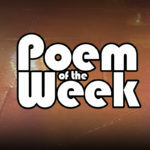 PREVIOUS Previous post: Poem of the Week S01 E32 : In memory of Rory Gallagher, written and read by Dermot Bolger.